Solomon Southwick was born in Newport, Rhode Island, the son of Solomon and Mary Southwick. He entered the College of Philadelphia (now the University of Pennsylvania) on May 25, 1754, as a member of its first class, the Class of 1757. 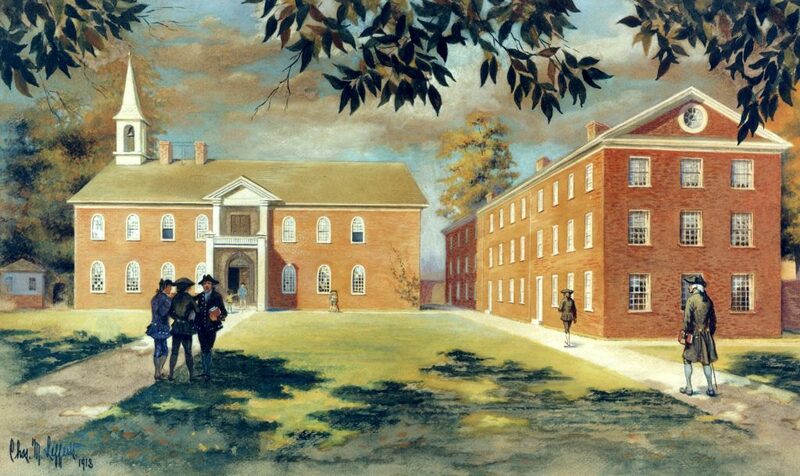 Southwick was enrolled in the College as late as the fall of 1756, but left before Penn’s first commencement on May 15, 1757. Despite this early departure, Penn’s trustees’ minutes record the bestowing of an honorary Bachelor of Arts degree upon “Solomon Southwick of Rhode Island, who without the usual Foundation of critical Learning and Languages discovered an aptness worthy of encouragement in Mathematics and some Branches of Philosophy.” Since he had actively been enrolled in the collegiate program, this degree was an A.B. “gratiae causa,” making Southwick eligible for the A.M. ad eundem degree awarded to him by Yale in 1780. Southwick became the printer and editor of the Newport Mercury as well as a statesman. He also served as a member of Rhode Island’s general assembly and as deputy commissary general in Rhode Island. When the British occupied Newport in 1776, Southwick, an ardent patriot, was forced to suspend publication of this newspaper to flee with his family. After the war he never regained his earlier prosperity. He was married to Ann Carpenter, widow of Willett Carpenter and daughter of Lt. John Gardner of Rhode Island. The home he built about 1760 still stands at 77 Third Street in Newport. Southwick died in that city on December 23, 1797.